UPDATE 12:24 p.m. 12/10 - Steve-O spent 9 hours in jail until he was released due to overcrowding, according to TMZ. It can be hard to accept the consequences of one's previous actions, but former "Jackass" star Steve-O couldn't be happier about showing up for jail after his illegal (and explosive) protest against SeaWorld. On Wednesday night, he posted a video of himself celebrating his arrival. "Here we are at Twin Towers Correctional Facility. This is my reservation," Steve-O says in the video. Steve-O received a 30-day jail sentence after setting off fireworks from a ten-story crane in downtown Los Angeles in August to raise awareness about SeaWorld San Diego's cruel treatment of its orcas. 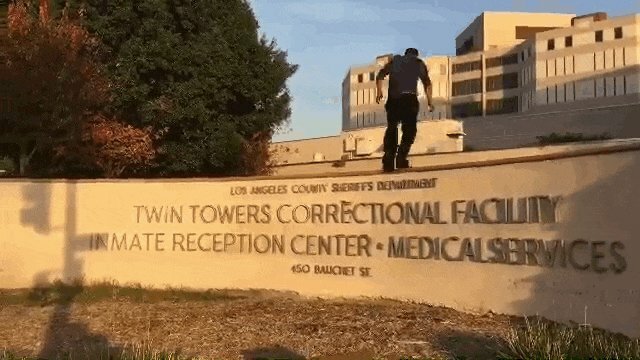 Without explanation, he darts off camera and scurries up the wall of the inmate reception center. He then lands a perfect backflip and runs off to jail while screaming, "I'M READY!!! LET'S GOOOOO!!!!!" "I mean, if your goal is to make a statement about captivity, you may as well get yourself locked up!" Steve-O wrote on Instagram. 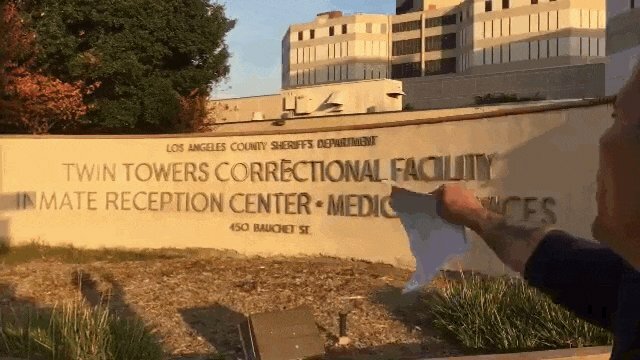 Steve-O on Instagram: "I just got sentenced to 30 days in LA County jail, and this is what I have to say about it: "Considering I've become a clean and sober,..."
Steve-O's showmanship may have landed him in jail, but after seeing his fervor for animal rights over the past few years, it's pretty clear that 30 days in jail won't turn him away from speaking out for mistreated animals. Steve-O on Instagram: "Here I am at jail. See ya when I see ya, folks! #yeahdude #SeaWorldSucks"